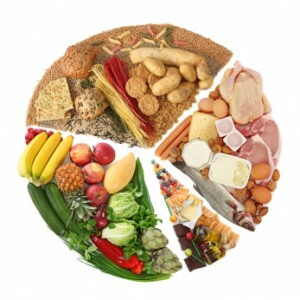 One of the very important and essential factors to good oral health is the intake of proper nutrition and diet. Nutritional problems can manifests when there is inadequate dietary intake of a nutrient, which can affect our entire body including our dental health. 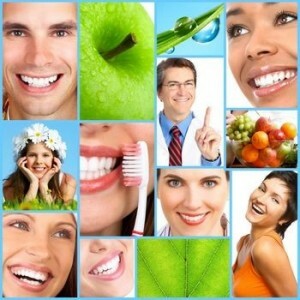 What are the important vitamins and minerals for dental health? Vitamin A – help in maintenance of healthy mucous membrane, formation of tooth tissues and maintain salivary flow in the mouth. Vitamin B1 – prevent tongue inflammation and discoloration of gum tissues. Food source: Pork, sunflower seeds, legumes. Vitamin B2 – prevent tongue inflammation, cheilosis (scaling and fissuring of the corners of the mouth) and inflammation of the mucous membrane of the mouth. Food source: Beef liver, lean steak, mushrooms, ricotta cheese, milk. Vitamin B3 (Niacin) – reduction in symptoms of gingivitis. Food source: Tuna, beef liver, chicken breast, mushroom. Vitamin B5 (Pantothenic acid) – help in healing of oral tissues. Food source: Widespread in foods, egg yolk, liver, kidney. Vitamin B6 – prevent tongue inflammation. Food source: Sirloin steak, navy beans, potato, banana. Vitamin B7 (Biotin) – prevent tongue inflammation and discoloration of oral tissues. Source: Synthesized in intestinal tract. Vitamin B9 (Folic acid) – help prevent tongue inflammation, chronic periodontitis and yeast infection. Food source: Brewer’s yeast, spinach, asparagus, turnip greens, lima beans, beef liver. Vitamin B12 – prevent tongue inflammation. Food source: Meat, fish, shellfish, poultry, milk. Vitamin C – prevents all forms of inflammation of the gums. Deficiency can lead to scurvy and poor collagen formation and wound healing. Food source: Citrus fruits, papaya, broccoli, potato, strawberries. Vitamin D – help strengthen the tooth enamel. Source: Synthesized in skin exposed to sunlight. Vitamin E – help in healing and restoration of damaged oral tissues. Food source: Vegetable seed oils, widely distributed in foods. Vitamin K – May be involved in bone formation. Food source: Synthesized by intestinal bacteria: green leafy vegetables, soybeans, beef liver. Calcium – reduce symptoms of gingivitis and help heal and restore damaged bone tissues. Prevent early loss of teeth due to osteoporosis. Food source: Milk and milk products, sardines, clams, turnip and mustard greens, broccoli. Coenzyme Q10 – help in healing of gums and reversal of gum inflammation. Food source: Meat, fish; beef, pork, chicken liver and heart; vegetable oils, parsley. Fluoride – help prevent tooth decay. Food source: Mackerel, salmon, shrimp, meat, potatoes, wheat, sardines. Iodine – prevent enlargement of thyroid gland. Food source: Iodized salt, saltwater shellfish, spinach, pumpkin, broccoli, chocolate. Iron – prevent sore tongue, inflammation of the oral tissues and difficulty in swallowing. Food source: Organ meats, clams, oysters, legumes, enriched and/or whole grain cereals and breads. Magnesium – help in bone jaw and tooth formation and prevent excessive formation of gum tissues. Food source: Nuts, legumes, cereal grains, chocolate, spinach. Phosphorus – help in repair of tooth tissues. Food source: Meat, poultry, fish, eggs, milk products, chocolate. Sodium – reduce thirst and prevent dry, sticky tongue and mouth. Food source: Table salt, meat, seafood, cheese, milk, bread, vegetables. Zinc – help improve immune system and bones, and prevent abnormal taste and smell. Food source: Wheat germ, oysters, beef liver, dark meat of poultry. 1. Limit eating fermentable carbohydrates (for example pasta, rice, potato crisps, fruits, and even bread) to mealtimes. The other food groups serve as buffers to help neutralize plaque acids. 2. Reduce consumption of sweet foods especially if you are prone to tooth decay. 3. Snacks in between meals should consist of non-tooth decay causing foods such as raw vegetable. Raw, unrefined foods in the vegetable and fruit group provides fiber that help clean your teeth. The chewing action when eating natural foods increases the salivary flow, thus aiding in diluting and removing sugars and their harmful byproducts. 4. Do not eat sweets before you sleep. If you do eat, remember to brush your teeth for salivary flow is low at night and foods are not as readily cleared from mouth as they are during waking hours. 5. Avoid sugars for bacteria thrive on sugars. 6. Avoid sticky foods because they can get stuck between teeth and be retained in the mouth longer than non-sticky foods. 1. Brush thoroughly twice a day (preferably in the morning and before bed) using a soft-bristle toothbrush and clean between teeth daily in areas where your toothbrush can not reach with floss and mouthwash. 2. Replace your toothbrush every 3 months or sooner if the bristles begin to look worn out. 3. 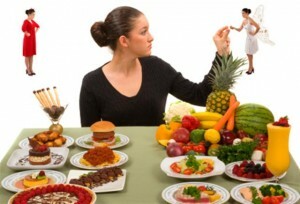 Eat a well-balanced diet and restrict sugar-containing foods to mealtime. 4. Cut down on carbonated soft drinks. 5. Do not smoke or use tobacco and avoid alcohol abuse. 6. Visit your dentist regularly (at least twice a year) for a professional cleaning and examination of your mouth. This entry was posted in Oral Care and tagged dental health, gingivitis, good oral health, minerals, oral health, oral hygiene, Periodontitis, tooth decay, vitamins on October 17, 2010 by oileng. Thanks for all these tips, nice article to keep our teeth healthy, as it has to be. Proper diet and eating the right food will help us to have whiter and stronger teeth, which are why I also practice to teach my kids to eat right and properly brush their teeth to wash away cavities.